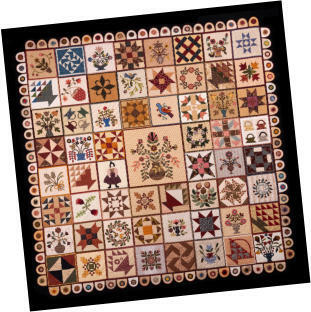 2019 Raffle Quilt and Designated Charities Since the club formed in 1936, Genesee Valley Quilt Club has been very community minded. 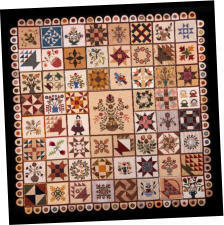 Among other ways of giving back to the Rochester community, the raffle quilt proceeds from each quilt show are donated to a local charity. Designated Charity recipients for the 2019 Raffle Quilt are SewGreen@Rochester and Experience FiberArt, Inc. 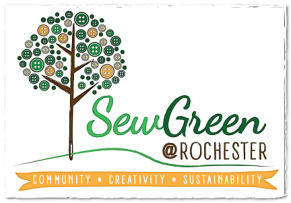 It is the mission of SewGreen@Rochester to combine sewing, self-sufficiency, and sustainability. . . and everyone wins. More. Experience FiberArt, Inc firmly believes that fiber in its many forms transcends the bridge from well enjoyed crafts to art. It’s exciting to view an exhibit featuring fiber as the chosen medium, each art piece telling a story, sharing a thought. More. 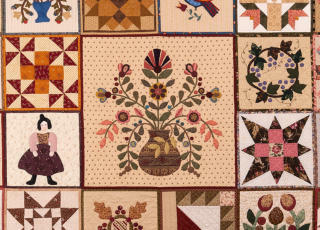 Join us for the premier Quilt Show in Upstate New York 70,000 square feet of quilt display, quilt exhibits, and vendors! 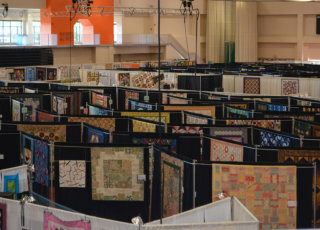 3500+ expected from New York, Northeast, USA, Canada, and Europe 600 Quilts on Display - Professionally judged from NY, USA, Canada, and Europe, club entries, plus special quilt exhibits Workshops and Lectures by well known quilting teachers and presenters, plus Special Events every day 60+ vendors - from NY, PA, CA, VT, TX, FL, MA, OH, NH, NC, IL, MI, and ME Coaches, buses, and groups are welcome! - read more. 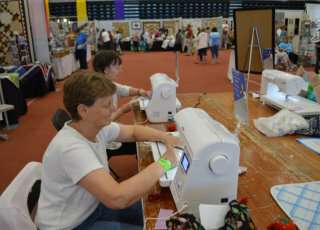 Less than 6 weeks until Genesee Valley QuiltFest 2019! • NEW THIS SHOW - FREE shuttle service to and from the show door from Shuttle Parking Lots G and H on both Friday, May 31 and Saturday, June 1, 2019 - 8:30 to 5:30 • NEED ASL? Find an ASL interpreter at the “Need ASL?” sign near Admissions. • Do you love “improv”? Do you love a challenge? Why not join in the fun and participate in the Improvisational Round Robin Challenge on Saturday, June 1. Registration required. • Limited space left in two workshops , don’t miss out. • Register today for a lecture by one of the nationally known teachers or presenters. ASL provided for lectures and workshops, indicate need on the registration form. 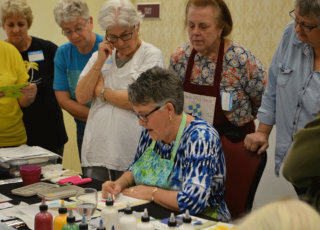 Online registration • Quilt shows are always more fun with your quilting friends. Bring a group and save. 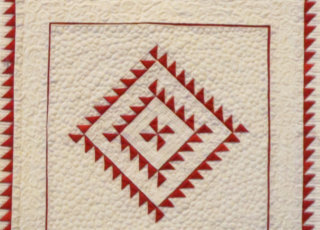 Group Info • “Genesee Valley Friendship Quilt” - Raffle tickets on sale now. More info. 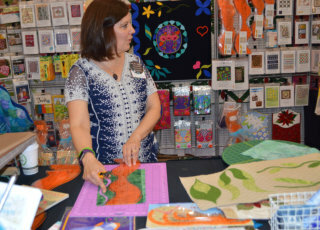 Less than 6 weeks until Genesee Valley QuiltFest 2019! • NEW THIS SHOW - FREE shuttle service to and from the show door from Shuttle Parking Lots G and H on both Friday, May 31 and Saturday, June 1, 2019 - 8:30 to 5:30 • NEED ASL? Find an ASL interpreter at the “Need ASL?” sign near Admissions. • Do you love “improv”? Do you love a challenge? Why not join in the fun and participate in the Improvisational Round Robin Challenge on Saturday, June 1. Registration required. • Limited space left in two workshops, don’t miss out. • Register today for a lecture by one of the nationally known teachers or presenters. ASL provided for lectures and workshops, indicate need on the registration form. 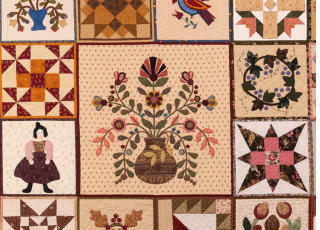 Online registration • Quilt shows are always more fun with your quilting friends. Bring a group and save. Group Info • “Genesee Valley Friendship Quilt” - Raffle tickets on sale now. More info. on sale at the show.